Vice Chair of the National Association of District Export Councils, representing Southern Network DECs. 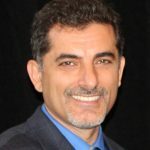 He has extensive experience in export control, customs and international trade issues with a strong background in electronics, computer, software, information security, industry automation, material processing, mobility/transportation, defense technologies and manufacturing industries for almost 20 years. His primary focus areas are U.S. EAR, ITAR, OFAC and NRC controls, end-use and end-user screening, export classifications, compliance program development, encryption items, compliance audits, training, global technology transfers and export documentation. Mr. Erdem managed import and export compliance activities at Siemens Corporation, Siemens Industry, Healthcare and Energy sectors separately and he served as the worldwide export compliance manager at Texas Instruments, Inc. In these positions, Dr. Erdem played critical roles regarding ongoing compliance with the export regulations that are applicable to company products, systems, software and related technology. In addition to training of thousands of employees and mentoring foreign trade compliance managers, he successfully audited the U.S. based sites and facilities and foreign subsidiaries in more than 15 countries. As one of the few compliance experts specializing in controlled products and technologies with a technical background, he had been involved in export control reform & simplification initiatives taken by the U.S. Department of Commerce-BIS, working closely with the U.S. Department of Commerce and industry associations. Prior to his experience in trade compliance, Dr. Erdem led challenging projects including design of networks and infrastructure for secure telecommunications systems at governmental organizations and defense industry. He was also member of the NATO Information Security subcommittee – PKI WG between 1998 and 2001 and took several roles in design, implementation and deployment of NATO secure messaging systems.